Those who require an uncompromisingly secure and reliable private network for conducting sensitive activities should consider NordVPN – with its strong ciphers and commitment to user privacy. NordVPN comes at a monthly subscription cost of USD 11.95 a month which is somewhat above the market average. However, if you subscribe for a whole year, you can bring this down to a cost of just USD 5.75 per month. Also, a quick search around the internet may reveal NordVPN coupon discount offers that bring the price even lower. 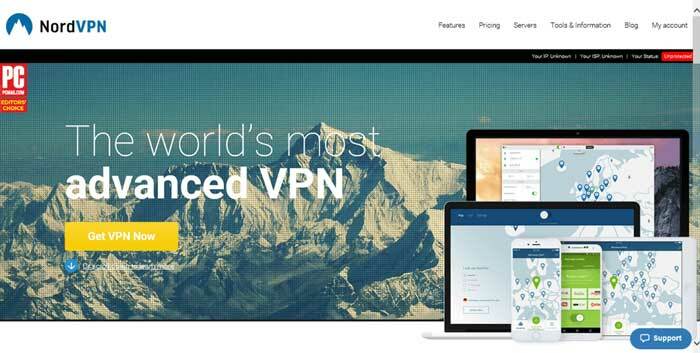 No NordVPN free trial is available, but it does come with a 30 day money back guarantee. Keep in mind that this money back guarantee can only be availed if there is a genuine issue with their service which their support cannot resolve. Headquartered in Panama – a location well known for lax laws that have recently placed it at the center stage of the Panama Papers scandal, NordVPN is able to operate with complete freedom and no compulsion whatsoever to maintain or reveal logs of its users’ activities. Furthermore, the service offers practically untraceable Tor over VPN and multi-hop links that will give even the most professional hacker a run for their money. As such, if you’re worried about government or private eavesdropping, this is one of the more reliable options for you (disclaimer: we are not in favor of using this software for illegal online activity). Nord VPN’s network consists some 550 servers and is spread throughout 47 countries, covering unorthodox locations such as South Africa too. P2P file transfers are allowed on servers in Russia, Sweden, Latvia, Luxemburg, Holland, Romania and Canada. Each of their servers is protected by means of its own firewall. 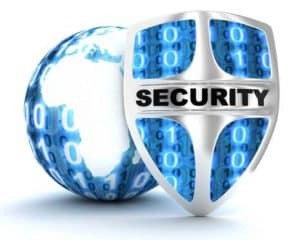 The leading OpenVPN encryption standard is employed to mask your communication, with a 256 bit AES cipher, RSA 2048 handshaking and SHA-2 authentication. A single NordVPN subscription lets you make 6 parallel VPN connections. As a result of their enhanced security features meant to defeat third party snooping, NordVPN’s connection speeds take a hit in spite of their extensive server network, which may lead to occasional buffering delays in bandwidth intensive applications. For instance, NordVPN Netflix playback may become slightly jerky when streaming at 1080p HD. If you’re primarily interested in applications such as using Netflix US instead of Netflix NZ, or accessing BBC iPlayer, you may want to look elsewhere. Nord VPN’s desktop client is designed quite sensibly and can be easily operated even by less advanced PC users. However, those in need of more control will enjoy features such as TCP/UDP switch, DNS leak protection and a killswitch. Dedicated clients are offered for Mac OS X, iOS, Linux and Android. Detailed guides and 24/7 Live Chat support is available for those who are having trouble getting the service up and running. Our Nord VPN Review finds the service to be an excellent one as far as guaranteeing complete privacy and security is concerned, but the occasional dips in speed prevent it from being the best VPN NZ for now.